This chicken has the perfect blend of acidity and a strangely amazing amount of sweetness to it. The minced shallots and white wine perfectly accompany the protein, and it’s chicken aficionado Kathryn Nathanson’s favorite dish of all time, so that’s saying somethin’. 2. Pat chicken breasts dry with paper towel and sprinkle them generously on both sides with salt and pepper. 3. In a large pan/skillet, heat oil over medium-high heat for about two minutes, until the oil begins to smoke. 4. 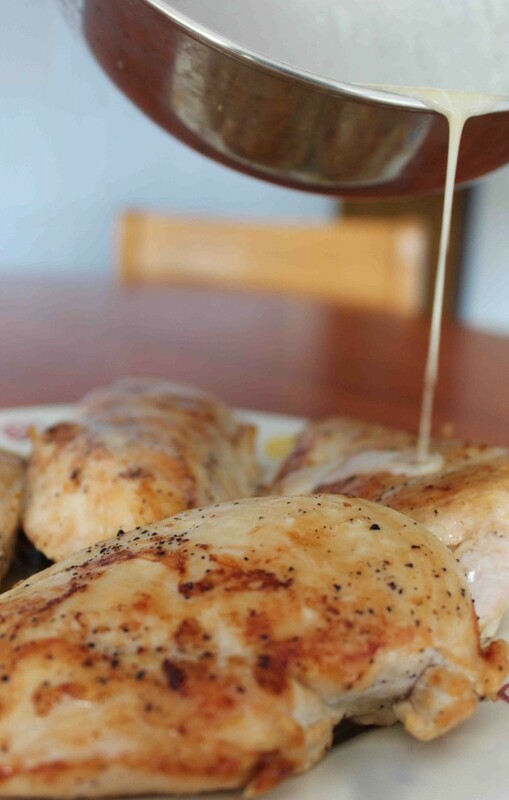 Place chicken breasts in pan for 4-5 minutes, without moving! until they’re golden brown. 5. Flip the chicken breasts and immediately put entire pan into oven for 12-15 minutes until chicken is cooked through. 6. While the chicken is in the oven, combine white wine, lemon juice, and minced shallots in a medium sauce pan over medium-high heat for about 5 minutes, or until there is only about 2 tablespoons of liquid left. *If the sauce reduces too much and you’re left with less than 2 tbsp., add an extra splash of wine or water. 7. Add the cream, 1 teaspoon of salt and 1/4 teaspoon of pepper and bring to a full boil. 8. Remove from heat, add the diced butter, and swirl until butter is fully incorporated. 9. Pour over chicken and serve. *The sauce cannot be reheated or it will “break”! Try timing the chicken and sauce together so you can serve the dish while it’s hot.